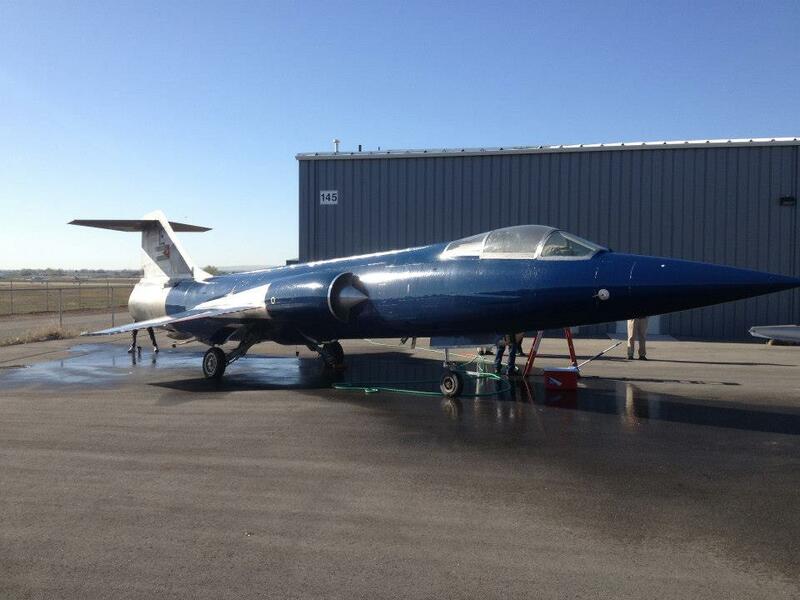 Warhawk Air Museum was delivered to the museum's facility at Nampa Municipal Airport in Nampa, Idaho yesterday, a Lockheed F-104 Starfighter. 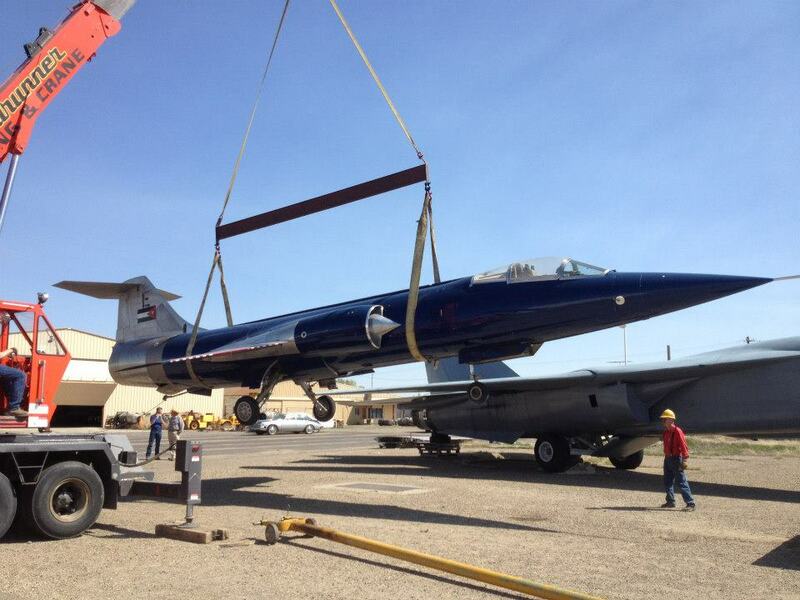 Warhawk Air Museum’s Lockheed F-104 Starfighter about to touch down. 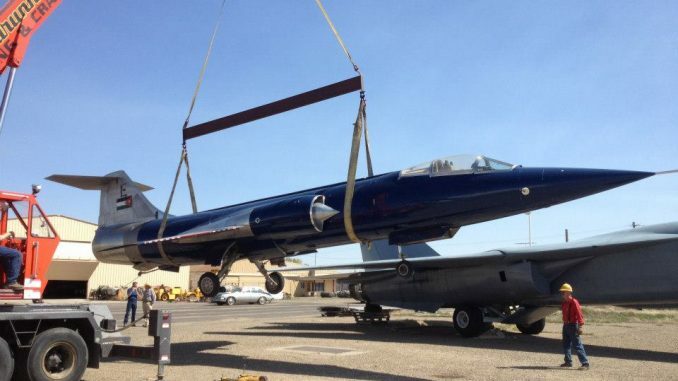 The latest acquisition of the Warhawk Air Museum was delivered to the museum’s facility at Nampa Municipal Airport in Nampa, Idaho yesterday, a Lockheed F-104 Starfighter. The world’s first combat aircraft capable of sustained Mach 2 flight, the Starfighter was extensively deployed by America and it’s allies during the cold war. Starfighter gets a wash after its road trip. The plane, serial # 56-778, was built in 1958 and served in the United States Air Force with the 83rd Fighter Interceptor Squadron at Hamilton Air Force Base in Northern California. The F-104 was not very well suited for service as an interceptor though and the squadron was re-equiped with McDonnell F-101 Voodoos in 1960. The Starfighter was sent on to Taiwan as part of a US military assistance program and was later exchanged by the island republic for later model Starfighter variants in 1966. The plane, now back in the US, was overhauled by Lockheed and sent to Jordan, again under a government-sponsored military assistance program where the plane remained in active military service until 1977 when it was retired. 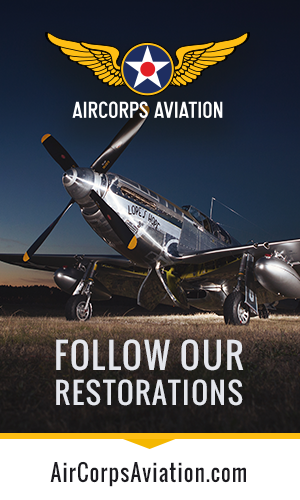 After sitting in storage for 13 years, the aircraft was sold into private hands and after passing through several dealers, was acquired in 1995 by the Merle Maine Collection of Ontario, Oregon who sold it to the Warhawk Air Museum earlier this month. The plane still wears the flag of the Jordan its tail and sports a blue paint job of unknown provenience and while the museum plans to eventually repaint it with the markings and colors it wore on its first assignment with the USAF, they are immediately placing the well-preserved plane on display as-is, serving as a compelling counterpoint to the Soviet MiG-21 fighter of the same era that they already have on display.